ZooMe 3 wheel Recreational Scooter,A modern recreational electric scooter for personal transportation. A modern recreational electric scooter for personal transportation. The ZooMe is a modern electric scooter with 3 wheels that makes personal transportation easy. The seat is comfortable, extra wide and removable making it easier for you stand or sit while riding which makes its a great piece for recreation and mobility use. It comes with a powerful 350 W brushless hub motor that provides a top speed of 15 mph and maximum range of 17 miles on a full charge. Shopping was easy with great info on the products listed. 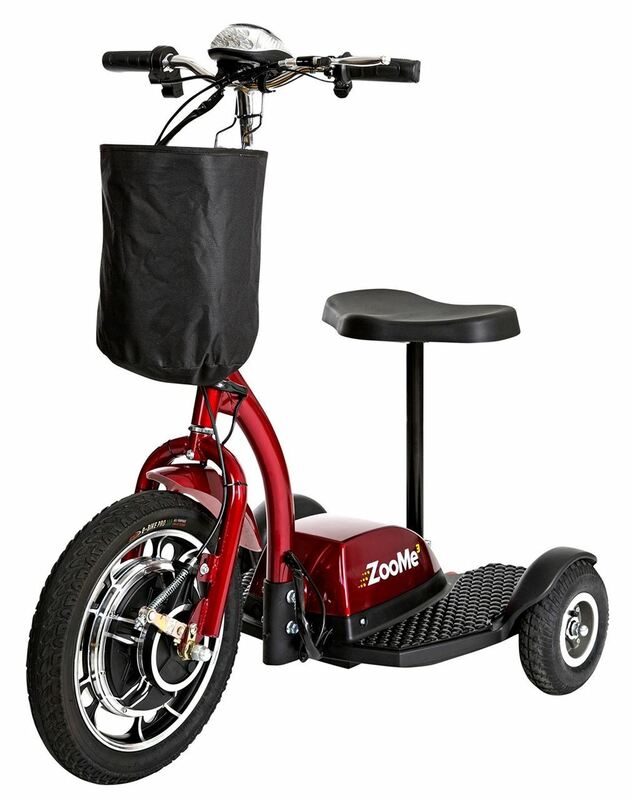 I was looking for this scooter online and found it to be best priced here. Just placed the order and looking forward to receiving it.